First Xplorio Napier Community Presentations! The already excitable Xplorio Presentation Team had reached new levels of joy and restlessness on the 16th of October 2018. Why, because the first Xplorio Napier Community Presentations were here! If I didn’t know any better, I’d think the car filled with the Xplorio Presentation Team was propelled by the sheer force of will to share what Xplorio could do for Napier. 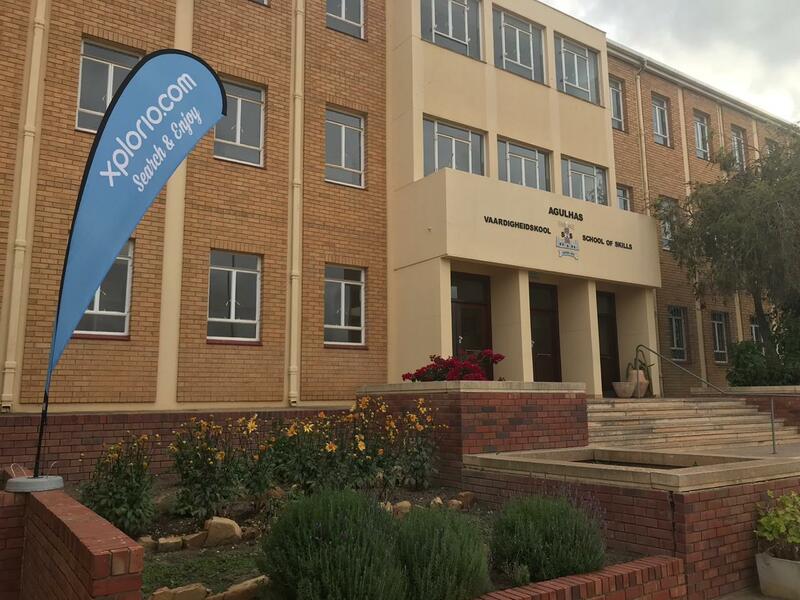 Once the team arrived, set up and the first guests walked through the doors of the Agulhas School of Skills, they sat down eager to find out how we can help them boost their businesses and help them market Napier in an accurate and inspiring manner. As always, the presentation started with an icebreaker were director of Xplorio, Sanja Lutzeyer, the Xplorio Presentation Team and the attendees each share what they love about Napier. The energy during that exercise was electric, and what we learned is that the locals love every inch of Napier. As Sanja Lutzeyer continued with her presentation, she shared some insights into the current state of online marketing. Local businesses and communities are not in control of the way they are being represented online. Sanja shared that Xplorio is here to change that and that the ultimate goal is to have every business owner in Napier to have control over their own inspiring, accurate and authentic online presence. 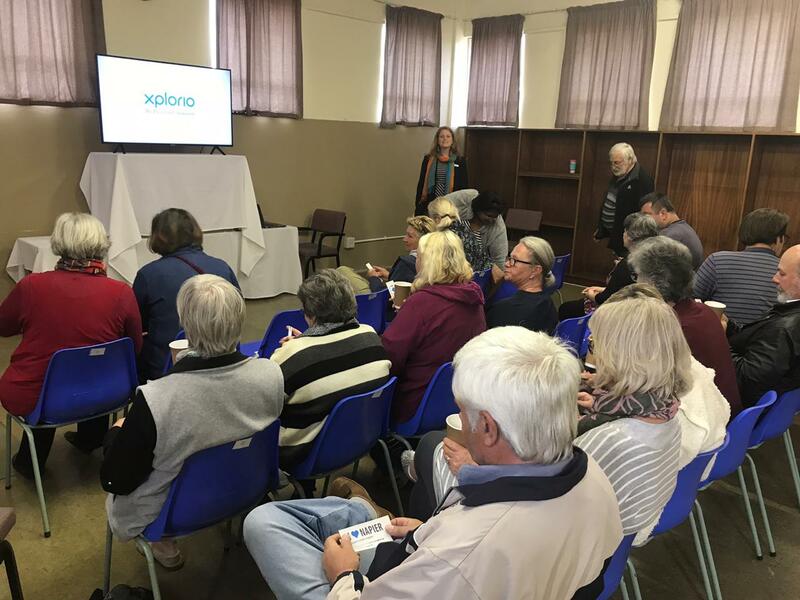 Here are the business and organisations that attended the Xplorio Napier Community Presentation: Napier Retirement Village, Habby Shack, Die Melkstal, Meals2U, Wild Bird, Traditional Archery, Napier Bowling Club, Piet's Computer Services, Huisklippedrift / NBG, Rawson Properties / Overplant Hire & Transport / Village Trading Post, Omega Consulting Africa (Pty) Ltd, El Gallo Guest Accommodation / De Skaap Accommodation / Napier Village Market, Dirk Uys Attorneys / Napier Wine & Patatfees, Relife Photography, Studio Deltavit, Peace Valley Guesthouse, The Fox, Photographer Lorraine Steyn, NPO Nuwerus, Seeff Napier and Amateur Dramatic Society / Neighbourhood Watch (NNW), Let's Talk About This / Napier Nursery & Crafts, Made for you by Maria, Stellar Overberg Travellers Lodge, Pascal's of Napier, Muddylane Pottery Studio, Vanilla Cottage Self-Catering, Napier All Sorts, Yvonne De Wit Jewellery Design & Art, Private Gallery Napier, Plattelandse Mooi / Kombuis Ossewa Akkomodasie, Moerse Farmstall / Overberg Nursery, Artist and Art Teacher, M.R.P Architectural Solutions and Chas Everitt. Thank you to the community of Napier and all the attendees of the presentations for all your support and making it so fulfilling! We are really blown away by your community spirit.